As summer wears onwards, the anticipation of autumn builds, and with it, many cyclists start thinking about cyclocross season. For some, it’s the pinnacle of the year; their primary goal and focus. For many others, it’s the off-season sport that fills the days until winter fully sets in. Whether you’ve already raced a full road or MTB season, or you’ve been training hard for six months in preparation for the first hole-shot, knowing how to piece together a season of quality racing is a difficult but essential skill. How do you plan a season to avoid burnout? With a thriving local race scene in many parts of the country, it’s easy to fall into the trap of racing every weekend without defined goals or aspirations for each race. Planning some “A” races into the calendar will help you direct your training towards a particular weekend, turning the three-month long season into a series of short and manageable training blocks. Cyclocross requires absolute freshness to race well. Fatigue accumulates through the season, and cannot be shed by simply resting one day per week, and racing again the next weekend. If you’re planning on racing doubles (both Saturday and Sunday each weekend) rest will be even more critical. Racing every week gives you a great opportunity for trial and error, so line up at each race with a goal in mind. While the entire point of a race is to better your result, this can be unrealistic to achieve every weekend. So save the results-based goals for your A-races, and use lower priority races to focus on the process, instead. Having problems with the hole-shot? Focus on lap one and nothing further for a race and see what happens. Removing the pressure of results might allow you to push yourself at the beginning of a race, and actually come out with a better finishing position anyway. In a sport so defined by handling and technical riding, there’s plenty of opportunity for skill-based goals too: nail the barriers, fast feet on the stairs, commit to the rut. These process goals can then be threaded together for your next priority race. 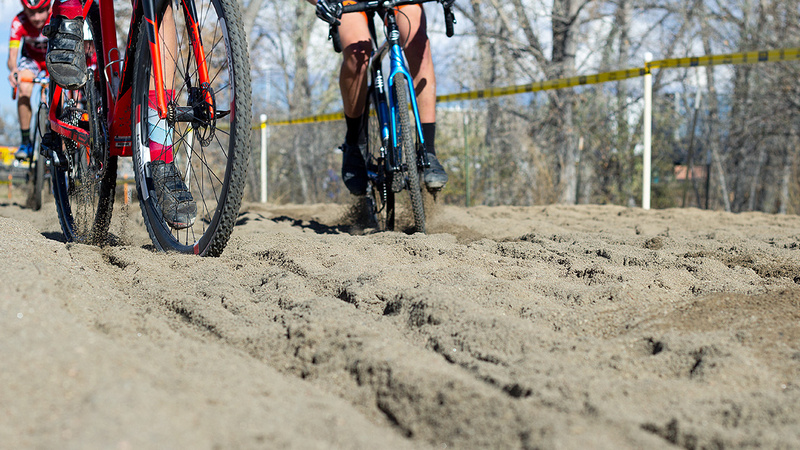 Using these tricks as a guide, you can improve your cyclocross racing without training longer or harder. The season will progress quicker, and you’ll have more chance of getting to the final race of the year in good shape. Removing the pressure to score killer results every weekend will also free you up to revel in the true spirit of cyclocross racing: Cowbells, heckling, and beer drinking!